BlueAngelHost Review 2019: Is BlueAngelHost a Good Hosting? BlueAngelHost is quite popular among website owners looking for an offshore hosting solution to avoid Digital Millennium Copyright Act (DMCA) laws, but there is no reason for anyone else not to use their hosting services too. BlueAngelHost specializes in offering DDoS-protected hosting to customers who require an offshore website hosting service. 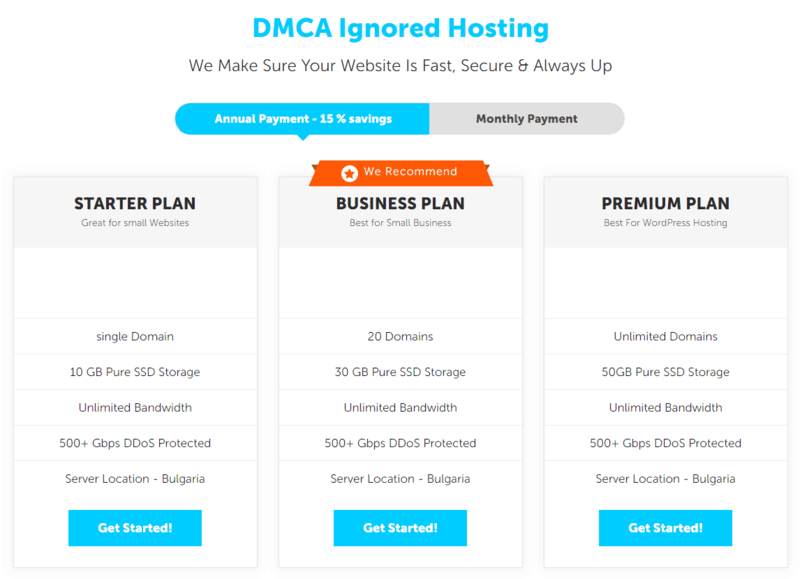 Their data centers are located in Bulgaria, the Netherlands, and Russia, which allows them to offer DMCA-ignored hosting to American website owners looking to bypass the DMCA laws and avoid suspension due to DMCA complaints. One of the advantages of hosting your domain at BlueAngelHost is its domain-related features. You can opt for Whois protection for privacy, and you can use Domain Lock to ensure no one can hijack your domain and transfer it to another host. Moreover, the easy-to-use admin panel allows you to manage your domains easily and efficiently, which is really handy since they offer unlimited domains. In order to ensure your continued success in the online world, BlueAngelHost doesn’t stop at providing you with a hosting account. They have a high quality link-building solution that caters to the latest link building good practices and allows you to improve your website’s search engine ranking. This service includes features such as listing in different directories, links from .gov and .edu websites, content creation, and the efficient distribution of that content so that your website gets the greatest exposure possible. Similarly, they also offer a separate web design service which includes themes and plugins, fully responsive designs, SEO optimization, and speed optimization. You are not allowed to host images in bulk or upload audios or videos to your website. You can’t run a MySQL query for longer than fifteen seconds. Cron jobs require an interval of more than fifteen minutes between them. It is worth going through their terms and conditions to see if there are more such restrictions that will hinder you in maintaining your online presence. BlueAngelHost offers three reasonably-priced packages that reflect the average you can expect to pay for the offered features. Their affordable Starter plan offers single website hosting with 10GB SSD storage and unlimited bandwidth. Their Business and Premium plans for multiple website owners offer unlimited bandwidth with 30GB and 50GB of SSD storage respectively. 500Gbps DDoS protection is available with all the packages. You can opt for yearly or monthly payment cycles, and a discount on a yearly payment plan is available at all times. BlueAngelHost offers customer support by phone, email, Skype, and live chat, but their live chat isn’t available 24/7. They have a pretty comprehensive knowledge base containing tutorials on how to use a number of their features such as the Softaculous installer, backups, WordPress and the control panel. You can also get in touch with the support team by creating a support ticket through the ticketing system on their website. onClick="trackClickout('event', 'clickout', 'Vendor Page - Visit User Reviews', 'BlueAngelHost', this, true);"
BlueAngelHost is a good all-round hosting service provider offering you almost everything you’ll need to be successful online. Their shared hosting packages have some idiosyncratic restrictions, but if those don’t concern you then you’re good to go with BlueAngelHost. 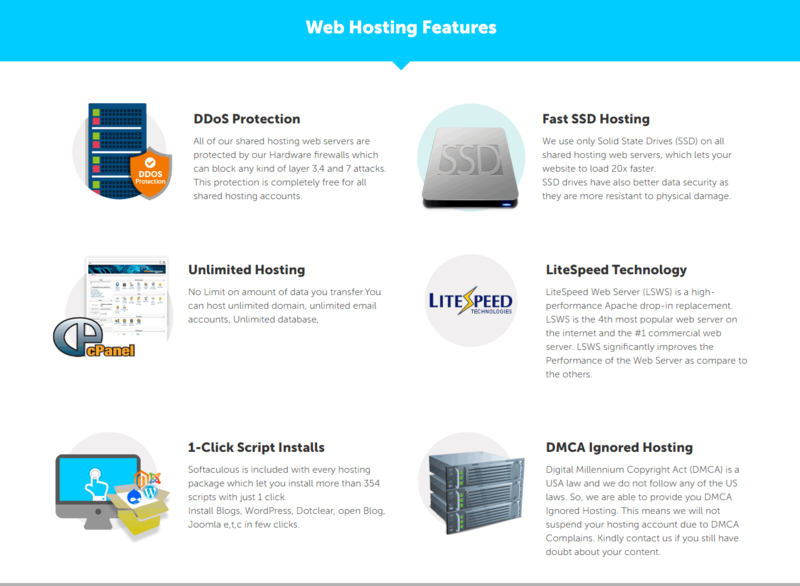 Wondering how BlueAngelHost stacks up against other Web Hosting companies? Enter any other Web Hosting company and we will give you a side-by-side comparison.